가지가지도감 두 번째 책 '비무장지대(DMZ)'는 전쟁으로 인해 생긴 공간인 DMZ에서 살고 있는 동물들에 관한 이야기입니다. 주로 멸종 위기에 처해 있거나 도시화로 인해 갈 곳 없는 동물들이 담겨있습니다. 가지가지도감01과 마찬가지로 가지가지도감 02 또한 다채로운 패턴 일러스트가 포인트입니다(아래 엽서이미지를 참고해주세요). 가지가지도감을 통해 DMZ와 그곳에 서식하는 동물들에 대한 관심이 높아지길 바라봅니다. 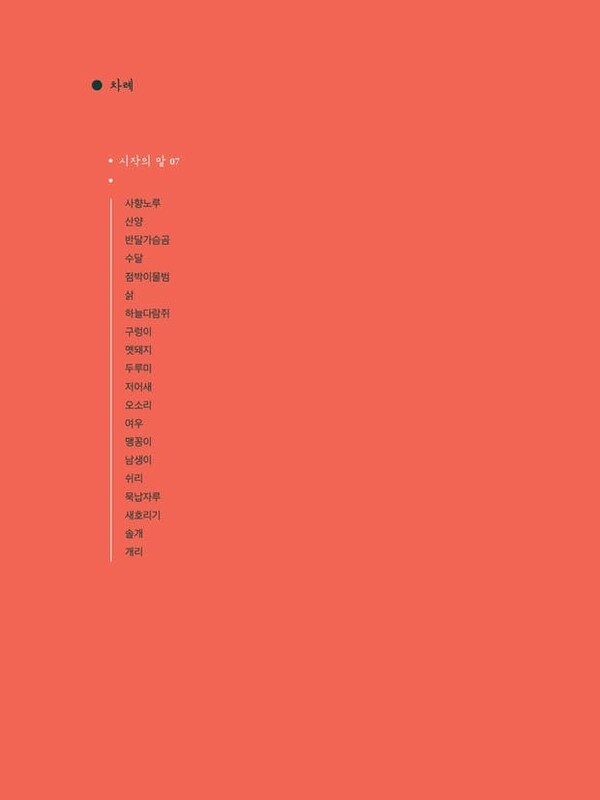 가지가지도감 첫 번째 책, ‘경기도 수원시 서둔로 166’에서는 13년 동안 방치되었던 경기상상캠퍼스의 식물 이야기를 담았습니다. 사람의 손길이 닿지 않았던 숲은 스스로 자연의 리듬을 회복하면서 건강한 생명의 순환을 보여주었습니다. 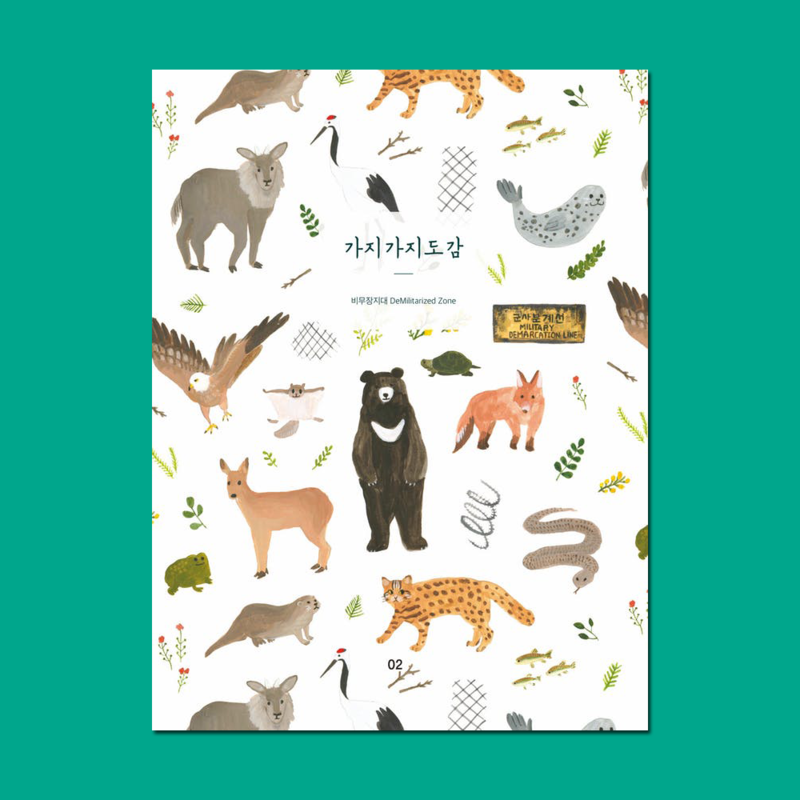 그 자생력은 우리를 겸허하게 만들었습니다. 그렇다면 사람의 발길이 65년 동안 닿지 않은 곳은 어떨까요? 그 안에서 만날 수 있는 동물들은 어떤 이야기를 가지고 있을까요? 오래도록 멈춰 있던 남북의 관계에 새로운 변화가 시작되고 있는 지금, 인간으로 인해 파괴된 땅에 생명들이 어우러져 평화를 이룬 DMZ를 보며, 우리도 다시 평화를 꿈꿀 수 있으면 좋겠다는 생각이 듭니다. 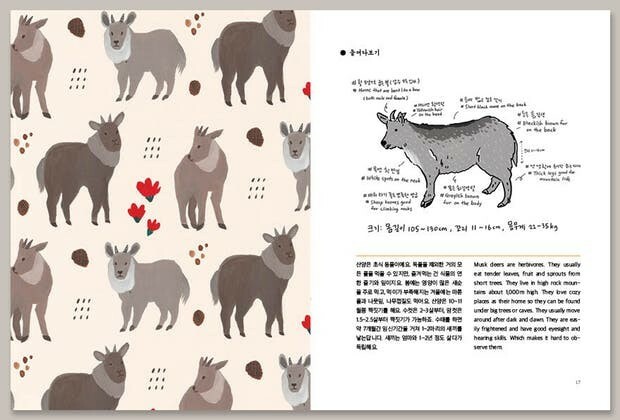 DMZ라는 공간과 그 곳에 서식하는 동물들 이야기만으로 변화를 바랄 순 없을 겁니다. 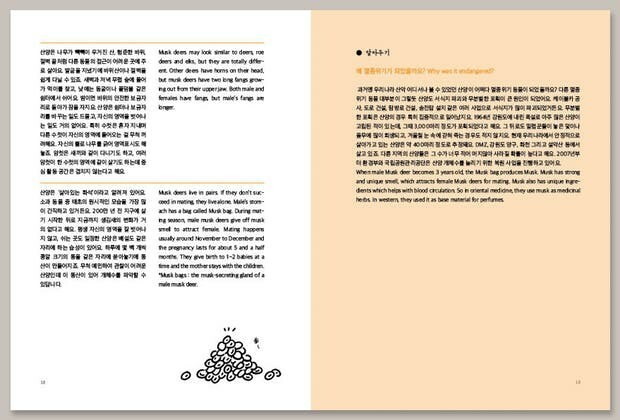 하지만 이를 통해 다시 바라보기가 시작되었으면 하는 마음에서 이 책을 만들었습니다. 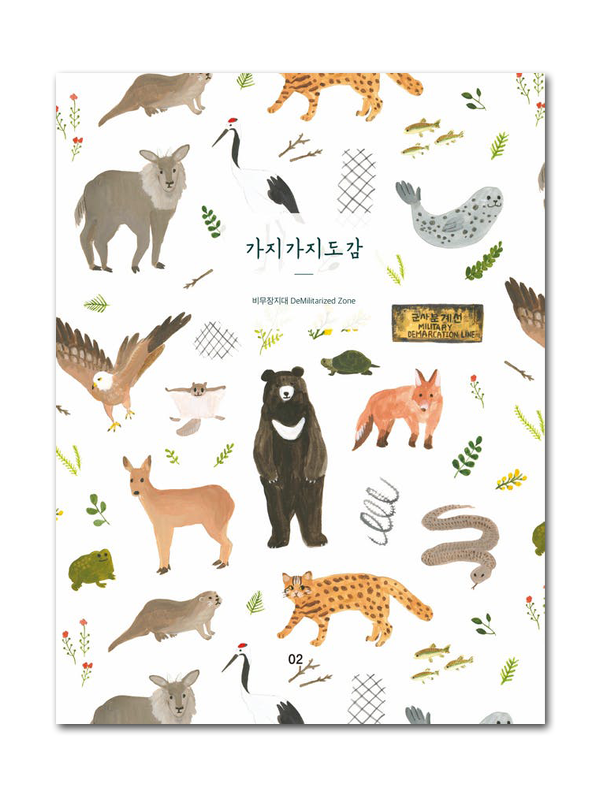 The first book of Gazi-gazi, ‘166 Seodun-ro, Suwon-si, Gyeonggi-do’, was about the plants in Gyeonggi SangSang Campus that had been neglected for 13 years. The forest was not in reach of human touch, which let the forest regain the rhythm of nature and showed the cycle of healthy nature. Nature’s self-healing capabilities made us humble. Then how about a place where people did not set foot for 65 years? What stories do the animals in this area have? Looking at the new development between the North and South Korean relations that had once been stagnant, we hope to dream of peace again. 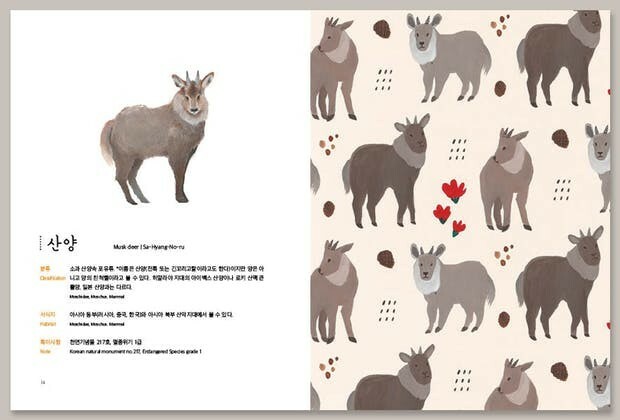 We cannot hope for change through stories of the DMZ and the animals living there. But we created this book with hopes that it will act as a starting point to look back into the past.